J. Horn Real Wood & Genuine Italian Leather available through Z Modern Furniture Store In Alexandria Virginia. White Glove delivery available in Northern Virginia, Washington DC & Maryland. Founded in 1904 by Julius Horn, J. Horn Furniture Imports has been a staple in the furniture business for over 100 years. 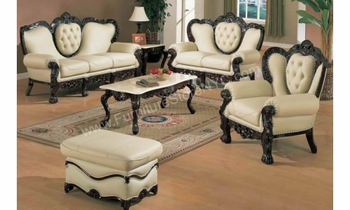 We are currently direct importers of European/French provincial style wholesale furniture servicing accounts throughout the United States and Canada. As a true wholesaler, we only sell to retail stores by the container, truckload or individual piece/set. We also enjoy exclusive distribution rights from some of the best manufacturers around the globe. 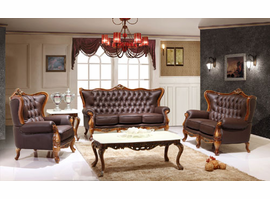 Our gorgeous solid wood and leather furniture is meticulously hand carved and designed with the finest leather and fabric. In addition, J. Horn Furniture can proudly say that its close attention to detail along with our superior quality control has made us the leader in traditional style furniture. We generally offer same or next day pick up straight from our Mt. Laurel NJ warehouse. The J. Horn warehouse and showroom is open Monday-Friday 9AM-5PM. We are also open during special hours upon request.